A long time ago, some person thought it would be nice if it stopped hurting when stuff hit your toes. That person was a genius because that person invented steel toe boots. All of the sudden, it became a lot less dangerous to do a lot more work. No more stubbed toes, no more worries about stuff falling on them, a whole lot of piece of mind. And back then, this protection came with one sacrifice to make: They were a little heavier. That hunk of metal in your shoe offered great protection, but it did make for a boot that was a little clunkier and heavier. But that sacrifice isn’t necessary any longer. Welcome to the 21st century. Now, composite toe boots and shoes are available, offering the same great protection, without the added bulk. The traditional steel toe cap has been replaced by a composite material such as high-tech plastics like Kevlar, which is five times stronger than steel and much, much lighter. For jobs in the construction industry and many other industrial workplaces, toe protection is not only important, it’s required. Which makes this new and improved option really good news to working people. Composite toe footwear offers so much better comfort that it probably won’t even feel like you’re wearing anything other than your regular sneakers. The same great companies that make steel toe boots now also make composite toe boots and composite toe shoes. Companies such as Timberland, Danner, Bates, Rockport, Carolina, Caterpillar, Florsheim, Rocky, Keen and more. 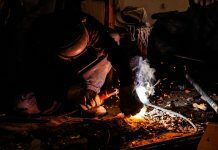 With so many different manufacturers to choose from, Working Person’s Store has the perfect pair for you, whether it’s hiking boots, waterproof boots, fire resistant boots, non-slip shoes, running shoes, oxford shoes, athletic shoes, loafers, or whatever other kinds of footwear you can think of. That’s just the beginning. 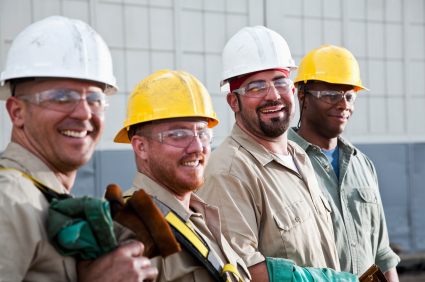 And just like regular steel toe boots, they meet ASTM safety standards and most are rated for electrical hazards. 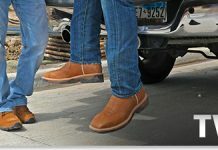 Take Georgia Boot’s Men’s Composite Toe Work Boots for example. 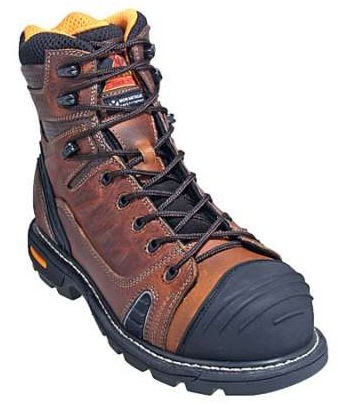 These are your classic work boots, but feature some of the best and latest features, like direct attached construction, oil- and slip-resistant soles, an electrical hazard rating, breathable and moisture-wicking interior material, a padded collar and tongue, and of course, the composite toe, which meets ASTM standards for impact- and compression-resistance. Whether you choose composite toe shoes or composite toe boots, they are perfect for the kind of person who values comfort as well as protection. And if you’re a foreman or supervisor who might be driving from job site to job site several times a day, composite toe shoes are much better for driving than steel toe boots. And they’re great if you’re a foreman or supervisor who needs to wear composite toe shoes for protection but also wants footwear that goes with a suit, the perfect compromise. So whether you’re in the trenches doing the dirty work, or supervising, there’s a perfect pair of composite toe footwear waiting for you at Working Person’s Store. With so many different styles and types to choose from, you’re not only benefitting from the latest technology, but you are getting many options! So tip your hard hat to the guy who invented steel toe boots and then get ready to live in the present and enjoy the comforts and protections of the 21st century. Previous articleStay Safe in the Heat!